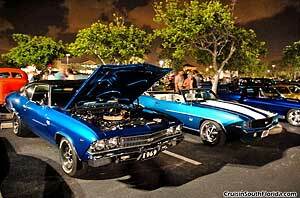 Cruisin South Florida - South Florida's Hottest Classic Car Show Events Site! Home of DJ "Scott The Musicman"
"Broward Mall 2nd Annual Benefit Classic Car Show" Plantation "Russ G Events"
"Darrell Gwynn Annual Full Throttle Show of Shows"
Maroone Chevrolet of Ft. Lauderdale! 2nd show open to Chevy, Ford, Mopar! "Miami Lakes Auto Mall Classic Car Show"
* Top 50 Awards! Specialty Awards! Cash Awards! * Dash Plaques & TV Raffle! * Live Entertainment! The Blues Brothers! 1PM: CANCELLED "Ocean's Eleven' Monthly Beach Cruise Night"
"Boys & Their Toys" 11am-6pm FREE! - Lauderdale Grill "Keith's Rods & Customs"
• Top 50 Awards! Specialty Awards! Best of Show Awards! 5th Annual Father's Day free Hotrods & Harleys SHOW! • $400 Cash Awards Give-a-way! • FREE Dash Plaques 1st 100! • BIG 105.9 "LIVE" radio broadcast! • DJ "Scott The MusicMan"
CLICK ABOVE FOR PREVIOUS 2010 BIG 105.9 RADIO PROMO! Once again, the Cruisers of South Florida present their Open Car and Truck Show in conjunction with the 16th Annual South Florida Tattoo Expo when we return to our original home, the Heron Bay Marriott Hotel on Heron Bay Blvd, Coral Springs!! Show Hours from 11 to 4pm with awards presented at 3:30 sharp. Entertainment by Scott The MusicMan. Pre-registration (until Aug 6) $20.00 with registration the day of the event $25.00. Both also include entry to the expo for 2 the day of the show. 40 "Best Of" Awards (you must be present at the awards presentation), dash plaques to the first 100 vehicles registered, hourly 50/50 beginning at noon. Come out and enjoy the most unique So. Florida Summer Car Show!! The sights alone are worth the entry fee!! Canopies and coolers welcome. more information: Steve 561 620 2124 (weekdays), 954 963 2828 (evenings and weekends). "Seminole Casino Hollywood Labor Day Weekend Car & Truck Show"
Soupy & Jackie's BIG Day! • Top 52 Awards! Specialty Awards! Best of Show Awards! Steve Clark Memorial Caravan Tour from Longhorn Restaurant, 6225 N. Andrews Ave., Ft. Laud (I-95 exit west on Cypress Creek) to Ocean's Eleven, Hollywood. All collector car clubs welcome (AACA/SFVWC). Leave 2:30 from Longhorn. Info: Rolf 954-561-3019. Saturday - New Years Eve! 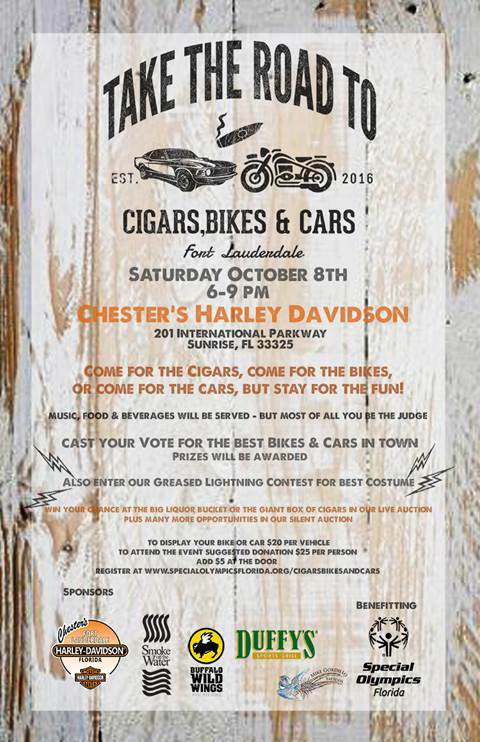 Benefiting the Youth Automotive Training Center, and held at Quiet Waters Park, 401 S Powerline Road, Deerfield Beach, this open-to-all show features awards, music, food and beverage and raffles. Pre-registration $20; day of show $25. For more info, call Hillary at 954-428-0909. Giveaways! Cash Awards! Benefit "Joe DiMaggio Children's Hospital" Featuring LIVE: "The Blues Brothers"
free!! 6th Annual Father's Day Hotrods & Harleys SHOW! • Vendors! - Raffles! - Food! CLICK PHOTO OR PLAY BUTTON ABOVE FOR DOC RENO BIG 105.9 RADIO PROMO! Open to all classic, custom, collectible vehicles. Free event, 15% discount to entrant vehicles, $25 gift certificate to managers choice. Located at 4690 N State Rd 7 on the NE corner of Wiles Rd and St Rd 7. Halloween Night cruise-in at Tijuana Flats in Coral Springs (Aldi's Shopping Plaza) Next to Starbucks. Located at 6204 West Sample Rd, show hours are 6-9pm, free event for cruisers and spectators. Costume fun for kids of all ages, 15% discount to cruisers with show rides (custom, classic, collectible). Cold beer, $25 gift card goes Managers Choice for the evening. Call 954.675.8679 for more. Event features great burgers-shakes, and more. Cold beer specials, a $25 Jakes Gift Card to Managers Choice for the evening. Located at 4690 N. State Rd 7, on the N.E. corner of Wiles Rd and St. Rd 7. 15% discount to classics, customs, and collectibles. Call 954.675.8679, Rockin Rich- (Sorry no vendors). Free Benefit Car & Truck Show for Felix Varela Viper Football Booster Club!!! Sunny Isle Rock The Beach Car Show & Cruise Night - 4pm-9pm - FREE! - 50 cars Limited Pre-Reg only! Show moved to parking garage due to rain...1st parking garage show. Free event for classics, customs and classics. Show hours 5-8pm, 10% discount to show rides, $25 Del Vecchio's Gift Card to ride of the night. Located 1.5 miles west of University Drive. 954.675.8679 more info. Police vs Fire Softball, Ch 4 Joe Rose Emcee, Dolphins Cheerleaders - ALL SERVICES DONATED! More info coming..
CARS MUST BE IN SHOW AREA NO LATER THAN 10AM! FINAL FAREWELL PARTY CRUISE NIGHT was AUG 1, 2014... the END of an EPIC ERA! 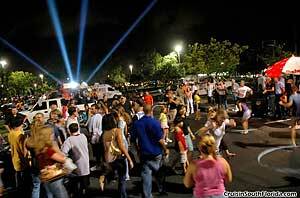 Towershoppes of Davie' Friday Night Cruise South Florida's Largest! 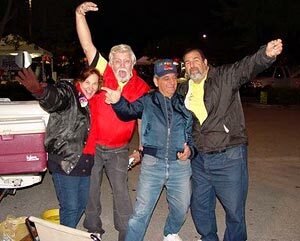 South Florida Largest & Longest Running Cruise Night! NO CRUISE NOV 28 - HAPPY THANKSGIVING! NOTE: There will be a special raffle at this show to benefit Russ G.
Tijuana Taxi Day Cruise - Noon-4pm - 1015 N Federal Hwy - Deerfield Beach - FREE! Tijuana Taxi Deerfield 4th Saturday Day Cruise - Noon-4pm - 1015 N Federal Hwy - Deerfield Beach - FREE! CANCELLED Tijuana Taxi Deerfield 4th Saturday Day Cruise - Noon-4pm - 1015 N Federal Hwy - Deerfield Beach - FREE!